Have you noticed the green revolution? You see it everywhere, from large corporations down to small businesses, and even “the Joneses” next door. “Going Green” is a global phenomenon that has touched every industry. But it’s more than just a passing fad, or something associated with a select few “organic-product” retailers. Let’s face it – the color green is here to stay. Environmentally conscious products and processes are no longer a high-end option – they are the new baseline standard! Consumers consider purchasing green products to be a social responsibility. In a competitive market offering similar options, people choose the eco-friendly alternative. The bottom line: Filta has built a business and a reputation on offering it’s clients the green edge. Filta is no newcomer to the environmental services industry. 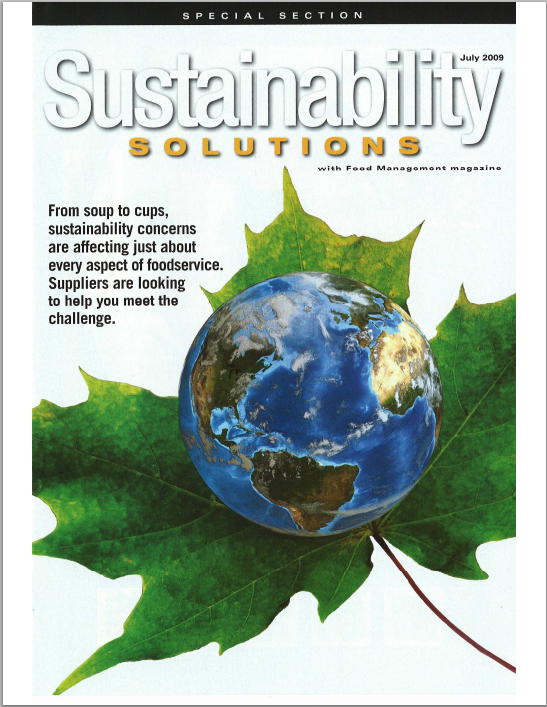 Long before the current explosion of green living, Filta and its many franchisees were Pioneering sustainable service solutions for commercial kitchens worldwide. Simply put, Filta offers solutions which allow customers to adapt their practices for the use of renewable resources, while remaining accountable for the environmental impact of all activities. This is the very definition of an environmentally sustainable business, and the bread and butter of the Filta team. Since 1996, Filta Environmental Kitchen Solutions has offered clients FiltaFry and FiltaCool; these environmentally sustainable services are currently found in a diverse range of applications, some of which include: kitchens of quick service, casual, and fine dining establishments, hospitals, universities, sports stadiums, and amusement parks. FiltaFry’s micro-filtration process and vacuum based cleaning technique extend the life of cooking oil, improve the quality of food, prolong equipment longevity, increase employee safety, and contribute to a cleaner environment. The FiltaCool service involves utilizing mineral-based filters in applications to include: florist shops, grocery stores, walk-in coolers, and many more. FiltaCool reduces moisture, extends the life of perishables, and reduces waste. Together, FiltaFry and FiltaCool provide a complete and environmentally sustainable solution to the problem of kitchen waste. After thirteen years, the results speak for themselves – Filta products and services will cut waste, save money, and in an environmentally-driven market, make money. Filta takes its commitment to the environment (not to mention its clients) seriously. For example, when cooking oil is no longer able to be filtered, many Filta Services franchisees deliver the used oil to biodiesel plants to be recycled. Franchisee Richard Hamilton of Arkansas goes even farther. Using his own equipment, Richard converts the used cooking oil he collects into biodiesel to power his Filta Van. Numbers don’t lie – FiltaFry alone can reduce your oil disposal amount by up to 50%. On average, that’s 10,000 pounds of used cooking oil annually per restaurant. Think about the cost savings and environmental impact associated with just this service. Now consider this: to date, Filta has filtered 250 million pounds of oil. That’s enough oil to fill a sports stadium! Filta has put together a network of franchisees around the world, which have developed profitable and mutually beneficial partnerships with businesses of all kinds. Chances are, wherever there ls a kitchen, you will find a Filta partner. While these partnerships have been established for many reasons including oil savings, reduced accidents and insurance claims, and food quality improvement, in every case one under-lying benefit can be seen: increased sustainability.